The U.K. equivalent of America's acid-tinged comedy pranksters like Firesign Theater and Cheech & Chong, Monty Python possessed a flare for absurdity that found them tossing barbs at everything from the sanctity of religion to the quirks of British upper-crust existence. In film, television and recording, their particular brand of nonsense won them worldwide recognition and a mass of fanatic followers. Monty Python's Spamalot draws from the troupe's legacy of music, madness and mayhem. Spawned from the 1975 feature film Monty Python and the Holy Grail, the stage version went on to win three Tony Awards in 2005 and several Drama Desk Awards following its bow on Broadway. The show boasts the same wacky characters and silly setups that made the original parody of King Arthur and his Knights of the Round Table so successful: knights who say "ni," ferocious killer rabbits, a vengeful warrior who loses his limbs but refuses to concede, infuriating Frenchmen and all of the other obstacles the clueless knights encounter in their search for the Holy Grail. "Whether you are a fan of Monty Python or Broadway shows, or both, this musical has something for everybody," director James Rocha Allan says. 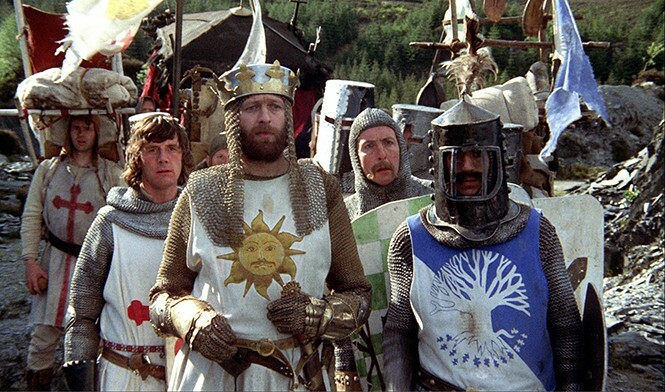 "I think audiences will be surprised at how fresh and relevant Monty Python's work still is." It's expected that ballet companies from around the country would perform in places like New York City; coming to Utah to be a part of Ballet West's National Choreographic Festival is surprising and impressive. It really goes to show that artistic director Adam Sklute has created something special. This year marks the second annual incarnation of this spring dance festival, spanning two weekends with each evening featuring three works—two by guest companies and one by Ballet West. The two weekends have different programs (different companies and new choreography), so it's really worth seeing both, if you can. The lineup includes The Washington Ballet (choreography by Gemma Bond), Richmond Ballet (Katarzyna Skarpetowska), Charlotte Ballet (Robyn Mineko Williams), Cincinnati Ballet (resident choreographer Jennifer Archibald) and Ballet West (Natalie Weir and Africa Guzman). A pop of color and a beautiful design on a concrete wall can sometimes elicit a greater emotional impact than a meticulously curated gallery space. 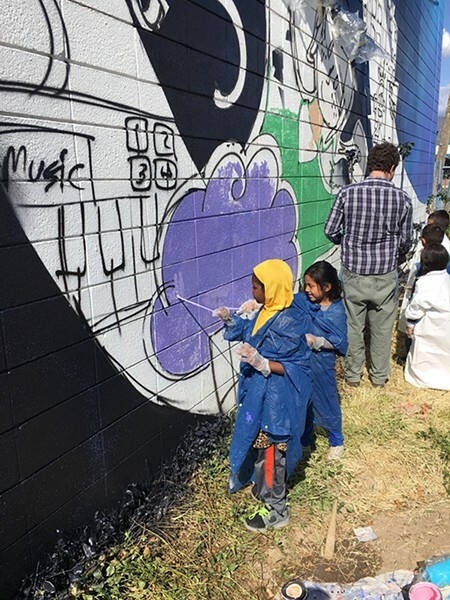 The Utah Arts Alliance (UAA) and South Salt Lake Arts Council (SSLAC) look to bring more of this vibrant public art to Salt Lake City through the first Mural Fest. The brainchild of Derek Dyer, founder and executive director of UAA and board member of SSLA, the festival boasts a long-term goal of commissioning 10 murals annually over the next decade, resulting in 100 new free, public art pieces. According to Lesly Allen, director of SSLAC, 13 artists created 11 murals this year around Commonwealth Avenue, an area chosen for industrial buildings that provide the perfect canvas for large-scale art and its lively artistic and entrepreneurial spirit. Dyer envisions these murals as only the beginning of the festival's impact. "We're sort of hoping that we kind of create this culture of creative expression where businesses will start commissioning artists to do their own murals," Dyer says. "It'll just be what you do if you're in that part of town." "Eventually, all things merge into one. And a river runs through it." So writes Norman Maclean in his semi-autobiographical novel A River Runs Through It—and that sentiment would seem familiar to Salt Lake City author, playwright, journalist and professor Jeff Metcalf. 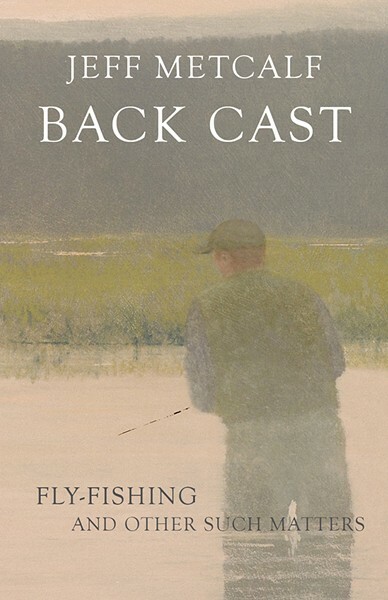 Metcalf's life story is marked by trips to the river to fly-fish, just like the protagonists in Maclean's stories. But Metcalf's narrative is also marked by a battle with prostate cancer. Diagnosed, medicated and told multiple times that his life was fast approaching its end, Metcalf has taken advantage of what time remains to him. This passon has taken on the form of teaching multiple classes at the University of Utah, crafting and performing in the one-man play A Slight Discomfort and publishing essay collections like Requiem for the Living: A Memoir and, most recently, Back Cast: Fly-Fishing and Other Such Matters. It is evident in all of Metcalf's work that he has an eye for detailed storytelling. This sensibility is especially clear in his position as director of the University of Utah program Humanities in Focus, which pairs adult learners from the community with University of Utah honors students to craft unique, real and issue-oriented documentaries.